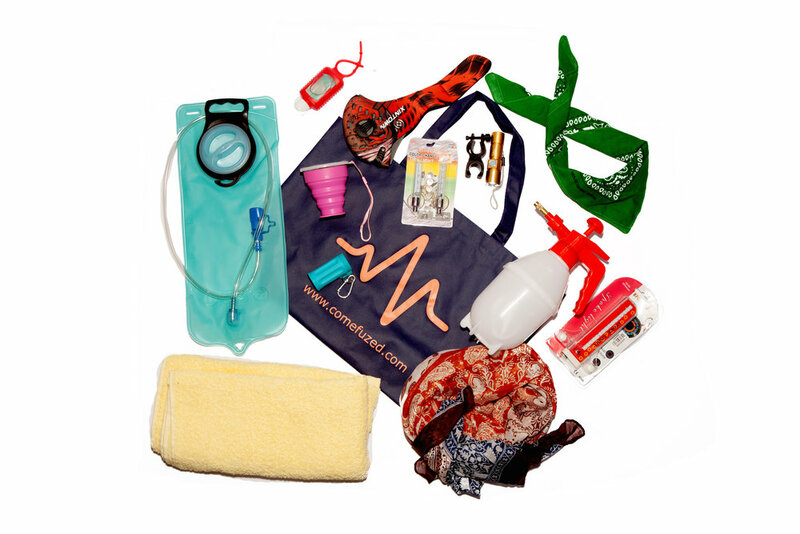 One of the more defining pieces of your Burning Man gear will be your Your Drinking Cup. It is Essential to the festival experience. There are a number of reasons to have your own cup. Some are practical, others are spiritual. Whatever the reason is, if you Do Not Have A Cup, you're gonna get thirsty. Finding a cup is an adventure in itself. A search for your own Holy Grail. You can find a bunch Online, or even in Second Hand Shops. There are some factors to consider when choosing a cup. Now Don't Forget to also check our Water section on tips for "How to keep Hydrated in the Desert". Practically every camp is a bar, or next to one. These bars have drinks for people to wet the dust parched throats from the desert. It's also a great place to meet other Burners and hang out for a bit. But if you don't have your own cup, you are not prepared to receive the gift of a drink. Whatever mix of spirits or coffee or teas that may be. So make sure to always bring a cup with you and you can get a drink. Having a cup reduces the amount of MOOP. Look at the number of glasses thrown on the ground at any other festival or event. Lots of MOOP. 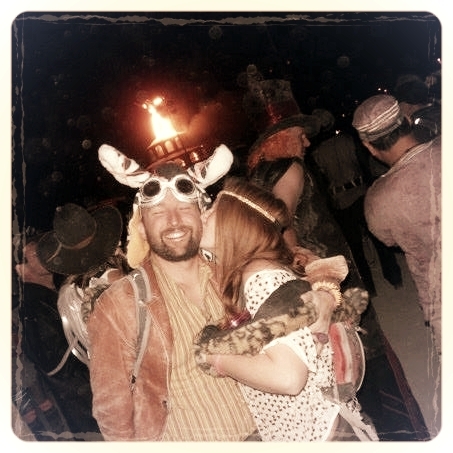 At Burning Man, because everyone carries their own cup, there is no need for all the cup MOOP. The same is true for plates and utensils. A cup with a handle is handy to be able to fasten to your belt or backpack. Usually a leather strap or carabiner can connect your cup to your bag. A Keychain Ring and some Gaffer tape can also do the trick. Your choice of style cup can be a design choice, practical choice, or desperation choice. There are a few thing to keep in mind for the choice of cup. NO GLASS or CERAMICS. They break easily and make MOOP. Good materials to use are Metal Canisters, Silicon or Wood. This handmade Nordic drinking cup connects easily with the Carabiner attachtment. Here is a little hack. You have to have an ID with you to drink at the bars at Burning Man. Even though it seems like it is another world, there are still undercover cops checking that people under 21 are not drinking. Entire camps get shut down if they find alcohol being gifted to underage Burners. So, people have become very strict about checking IDs at the bar. Carrying or ID or even your Passport for some of the International Burners, is rather risky at the Burn. People tend to loose their IDs in the desert, never to be found again. Rather than take the risk, try this tip. Photo copy your ID and tape it onto the outside of your cup. Now whenever you give your cup for a drink, the bartender can directly check your ID. Now there have been a couple of bartenders at camps I've come across that have not accepted this hack. No Problem! That's the playa telling you don't want to drink there anyway. Have a walk about 2 min. and you will find another place that will. If you have a cup with LED Lights, the flashing lights draw attention faster to your cup to get a quicker refill. What Are Your Cup Stories? Often we loose our cup out on The Playa. But The Playa will provide us with another cup. Those are great stories. Tell us your Cup Stories or Tips in the comments.